Initially introduced around 2015, left/right power measurement has quickly become one of the most sought-after power meter features. Power meters with left/right power measurement are not only able to calculate your total force, but also determine how much of your power is being generated from each leg. Pretty cool right! However, we’ve found there is some confusion surrounding this feature. For example, there are different types of dual-sided power meters, actual vs. estimated left/right measurement as well as some common misconceptions about how to determine and analyze this data. This article aims to sort through some of this. I hope you find it helpful! Power can be measured in a variety of areas on the bike: cranks, pedals, hub, crank arms, etc. Up until just a few years ago, there were really only two types of power meters: crank-based and hub-based. Crank-based units (SRM for example), uses sensors and strain gauges located in the crank spider to measure power. Likewise, hub-based units (PowerTap) uses sensors and strain gauges located in the rear hub. Both of these power meter types measure the power that is generated by both legs and display your total power. However, with the advent of pedal-based power meters around 2015, we saw a new feature. Manufacturers decided to locate a sensor in each pedal. With sensors in each pedal, pedal-based power meters are able to determine exactly how many watts your left leg is responsible for and how many your right – hence the name left/right power measurement or dual-sided power. You see, power starts at the pedals. It travels up the crank arms where it meets at the crank. Then it passes down the chain to the hub. So back to our first example: if you are measuring power at the crank, the force from both legs has already consolidated – so you can’t determine left vs. right leg. Same with the hub. 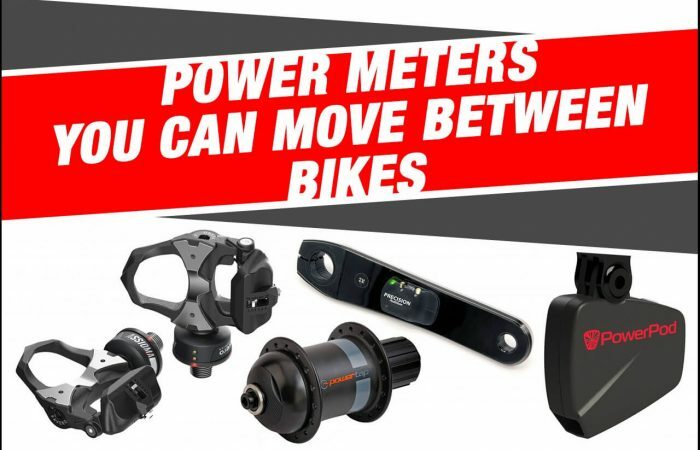 But if your power meter has two, independent sets of power sensors, one on each side of the drivetrain, it can then determine your left and right leg power balance. As previously mentioned, this can be accomplished through dual-sided power meter pedals (Favero Assioma DUO, PowerTap P2, Garmin Vector 3 or SRM LOOK EXAKT). All of these power meters contain strain gauges in both the left and right pedal. 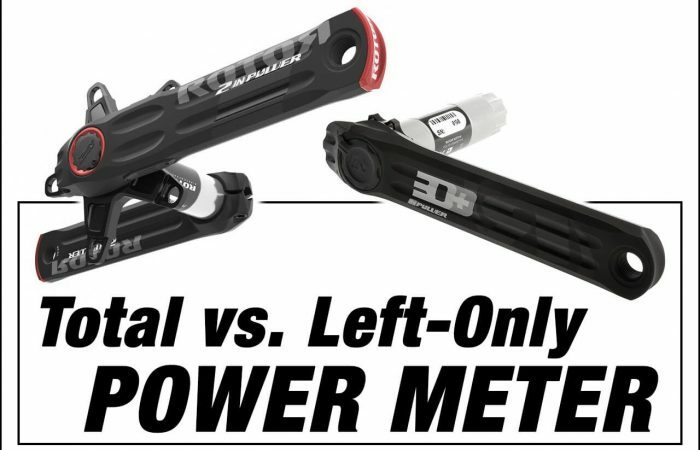 Another method for measuring actual left/right power is through dual-sided crank arm-based power meters. Take the Verve InfoCrank for example. Verve locates a load cell in each crank arm. Two load cells = true left/right power. ROTOR takes a slightly different approach with its 2INpower DM. 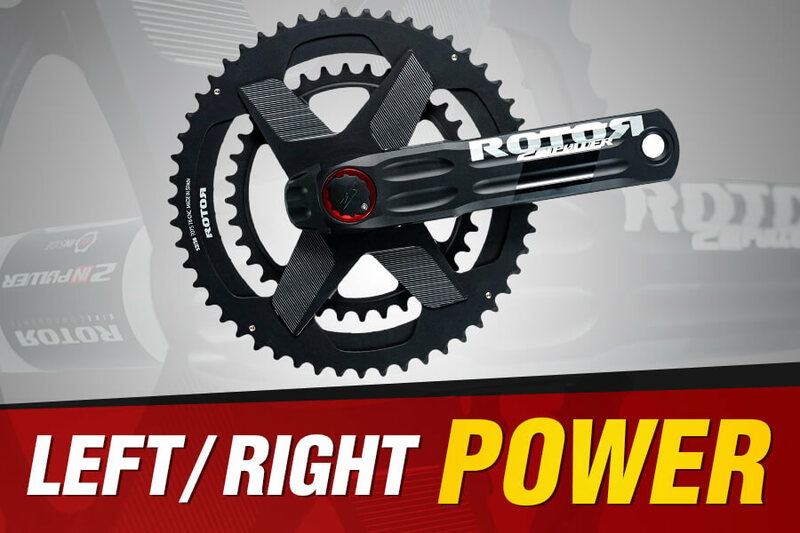 ROTOR locates one power sensor in the axle (which is responsible for measuring left leg power), and one power sensor on the right crank arm (for right leg power). Again, two power sensors so you have true L/R power. 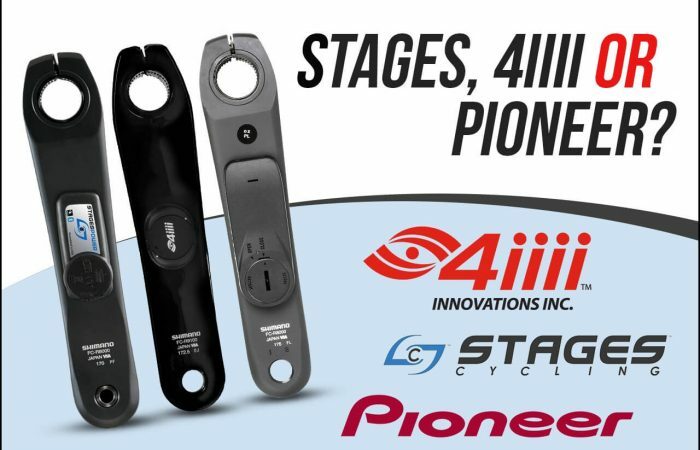 4iiii, Stages and Pioneer all have similar configurations whereby they measure independent left/right power on their complete crankset offerings by locating sensors on both crank arms. What we just described is also referred to as actual or independent L/R power. That is, the power meter is measuring the exact wattage from each leg. However, there is also the concept of estimated left/right power. With estimated L/R power, the power meter provides left vs. right leg power, but it’s not exact, rather an estimate. Take power2max power meters for example. power2max measures power at the crank spider. But we just told you that one sensor, located in the spider, can’t tell how much of your power is coming from each leg, right? Well, it can’t exactly. But with the right software and upgrades, it can get pretty close by making some relatively simple assumptions. In order to determine estimated L/R power, power2max essentially “credits” the power that is being generated at any point in time to either your right or left leg based on where in the pedal stroke you are at. If that sounds complicated it’s really not. The power meter takes power from your left and right down strokes only, and ignores the up stroke. So during your left down stroke, it credits the power to your left leg. Likewise, during your right down stroke, it credits the power to your right leg. Since the majority of your power comes from the down stroke, it can estimate the power distribution fairly closely using this method. 1. PowerTap is listed twice because their P2 pedals measure actual L/R power, whereas their C1 Chainring measures estimated L/R power. Ok, so the advantages to left/right power are obvious enough. You have all the workings of a complete power meter, plus the added benefit of independent left/right power data. Not only is having this data fun (let’s be honest! ), but if you can figure out how to benefit from this additional data, you can become a stronger, faster rider. Where left/right power balance can be particularly helpful is if you’re recovering from an injury. In that case, using a dual-sided power meter to monitor the progress of a weak leg can be very helpful. Lastly, for the sake of completeness, when purchasing a power meter capable of left/right data, you should realize that your risk of problems increases (at least in theory) since you will have multiple power sensors on your bike. (Note however that we have had great success with all the left/right power meters we sell – so we view this risk as fairly remote). In addition, left/right power meters can be heavier as they contain two power sensors and two batteries. But we’re talking just a few additional grams here so we don’t think it’s anything to get hung up on. Determining your real left/right power distribution isn’t as simple as taking your average left/right power balance from your last ride to the coffee shop. Your power distribution can fluctuate based on a number of factors including seated vs. standing; pushing hard vs. taking it easy; fresh vs. fatigued; high vs. low cadence and more. You need to perform some proper tests in order to gain a clear understanding of your left/right power distribution across these different variables. Once you have the data, if you feel you have imbalance that’s worthy of addressing, it’s time to crunch some numbers and put together a plan to address any weaknesses. We often talk about the reasons to hire a coach and how important they can be. The value they can provide, especially when training with power, can be substantial. Helping you make sense of your left/right data is yet another example of how they can help. We would note however, if searching for a coach, make sure they have some experience in this field. Some coaches will be more versed in this area than others. If you’re looking for a recommendation, we would tell you to give Peaks Coaching Group a call. Hunter Allen, founder of Peaks Coaching Group and co-author of Training and Racing with a Power Meter, has been studying left/right power data extensively for several years. He has worked with the core development team of TrainingPeaks’ WKO4 software to create new analytics and unique charts and graphs. This data allows him to more completely understand how each leg contributes to total power. Needless-to-say, you would be in great hands with Hunter or any of his coaches!